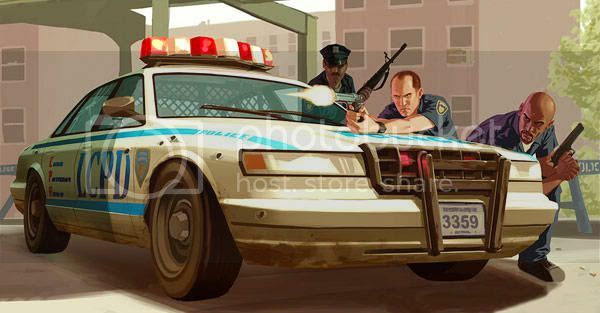 LIBERTY CITY—With the city in the midst of a record crime wave, concerned citizens claim the Liberty City Police Department has done little to prevent the constant car chases, ongoing gun battles, and overall atmosphere of violence that pervade the area. “I used to feel safe in Liberty City, but lately, it’s been total mayhem,” said night-shift worker Lola Del Rio, who spoke to reporters while sucking nervously on a red lollipop. “In the past week alone, I’ve been carjacked twice, run over 10 times, and witness to a half-dozen gunfights that ended with automobiles exploding. What are the police doing to stop all this? Officers respond to one of the 43,274 murders reported in the city last month. Since the surge in crime, which began on April 28 at midnight, more than 830,000 civilians have been murdered—nearly one-tenth of Liberty City’s total population. In addition, 35,000 vehicles have been reported stolen, many of which were then driven illegally over sidewalks and pedestrian walkways before plunging into the nearby Humboldt River. And according to startling figures released by local community action group Citizens for a Safer City, drug trafficking has become rampant and prostitution has increased by 800 percent. 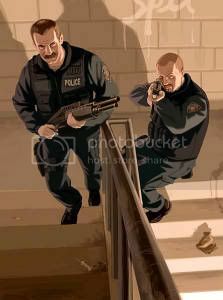 Many blame the LCPD directly for the increase in criminal activity, citing the department’s lax procedure for arresting criminals, which involves taking 10 percent of the suspect’s money, confiscating his weapons, and simply releasing him from custody later that day. Outraged citizens say this is not enough, especially in a city where assault rifles can be found on factory roofs and grenade caches are located under the globe at the old World’s Fair site. Perhaps even more alarming, city records indicate that more than 75 percent of perpetrators in mass-murder or vehicular-manslaughter cases escape, usually by simple methods such as driving into a car-repainting facility. Criminals have even eluded pursuit by walking into their apartment and going to bed for six hours, after which the search has been called off. However, one LCPD official, who wished to remain anonymous, blamed the recent crime wave on the police department’s lack of proper equipment. “And to those who say the LCPD is too quick to resort to deadly force, remember that almost 850,000 police officers, FIB agents, and N.O.O.S.E. [National Office of Security Enforcement] team members have died in the line of duty in the past month,” he added. Nonetheless, residents say that their confidence in the Liberty City police force—low in the best of times—has eroded almost completely. “That is not the kind of law enforcement we want for our community,” he added. Most admit that the problem is not a lack of police presence, as the LCPD currently operates 15 different police stations throughout the city’s four boroughs, and there is a seemingly infinite number of officers on duty at all times to respond to reported crimes. However, citizens say the officers’ “shoot-first” mentality and willingness to accept bribes only contributes to the city’s widespread violence and corruption.